Wouldn’t the workplace be a more productive and pleasant place to work if all your people were able to solve problems? To achieve this nirvana, it’s necessary to get your people engaged in thinking critically and creatively. One way in which this can be achieved is by setting workplace scenarios, with real-life problems to be solved. 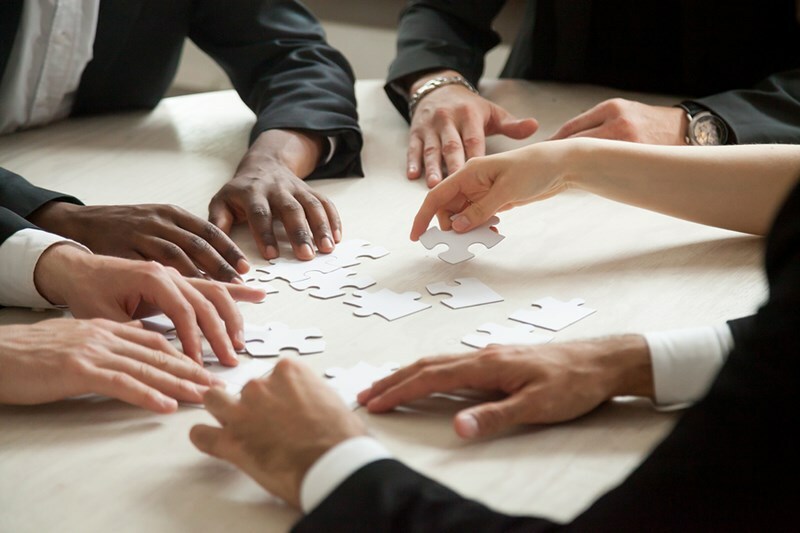 In this article, you’ll learn how to use workplace scenarios to create an organizational culture in which problem solving becomes the responsibility of all. Why is problem solving important in the workplace? Today, people are faced with many problems that need a creative solution. These may be of a personal nature – perhaps conflict between colleagues, for example – or involving customers, products, services, machinery, or processes. Disengaged employees seek to avoid responsibilities for such issues. This creates a situation where managers are required to step in, often to solve everyday problems, consequently always disrupting focus, diverting energy, and destroying valuable time. You can see why problem-solving skills are critical in the modern workplace. Give an employee the ability to solve problems (employ the 7 leadership behaviors to inspire employee engagement), and create an environment in which they are encouraged to do so, and your people will be better engaged with your organizational values, missions, and goals. In time, with problem-solving skills embedded, people become more adept at finding solutions to problems autonomously. Operations run more smoothly, and workplace relationships become stronger. Instead of being interrupted with requests to find solutions, leaders will be presented with solutions to rubber stamp. Finding solutions is a learned skill, or, should I better say, a set of skills. It requires the problem solver to analyze facts and use experience and knowledge (their own or others’) to succeed. You can use team meetings and workplace scenarios to engender these skills and the critical thinking capability required by people to create real-world solutions. Identify the problem, noting the issues, those involved, time, place, etc. See the problem from different perspectives: the best solution is the one that satisfies all interests. Listening skills are key at this stage. Brainstorm ideas, making a list of possible solutions. Analyze potential solutions, assessing the advantages and disadvantages of all. Decide which is the best solution, with the potential for the best results. Consider again the positive and negative consequences of the proposed solution. Consider how to put the solution into practice, answering questions such as what resources will be needed, and what timescale is practicable to affect the solution? Create success metrics and decide how progress will be monitored. Consider contingency planning, should the expected outcome not happen. A team leader is very egotistical, and wants to do everything himself/herself. He/she must be involved in every situation, and his/her people feel as if they are being watched always. He/she is difficult to work with – it’s his/her way, or the highway. The team is working on a time-critical project, but two of its members have fallen out. They have had a difference of opinion, and are now not talking. This is causing a bad atmosphere in the workplace, and is affecting progress. A new system is being put into place across the organization. This will streamline operations, though there is some resistance to implementation. Some employees are scared that they will lose their jobs. The question is, in the world of automation are employees right to be fearful? Ask teams to split into smaller groups and discuss the scenario you have given them. As they work through the seven steps outlined above, they should make a list of the key questions that need answering. Have the groups discuss their answers to these questions, their suggested approach to the problem, and pros and cons of their solution. Does your team solve problems or create them? Problem-solving skills are not inherent in many employees, but they can be coached. At their very core, many workplace problems involve people. This is why conscious communication, and skills such as listening, negotiating, and influencing, are key attributes of problem solvers. Contact Forward Focus today to discover how an Emotional Intelligence course will develop and embed effective personal skills in the workplace, for leaders, managers and employees. With increased emotional intelligence, you’ll find that problem solving is a daily task undertaken proactively.